This is the newest offering from Imse Vimse and will be replacing the Imse Vimse Bumpy Day and Imse Vimse Bumpy Night Covers. The Imse Vimse Organic Cotton Cover has a 100% cotton outer and a polyester inner with polyurethane lamination (PUL). This keeps the baby dry, but still allows air circulation. 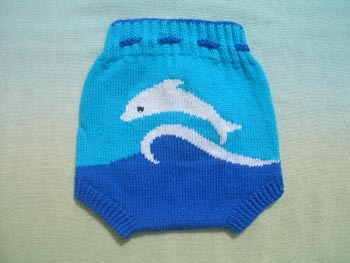 This diaper cover is known for its superior quality and breathability. It is very pliable and adjustable. 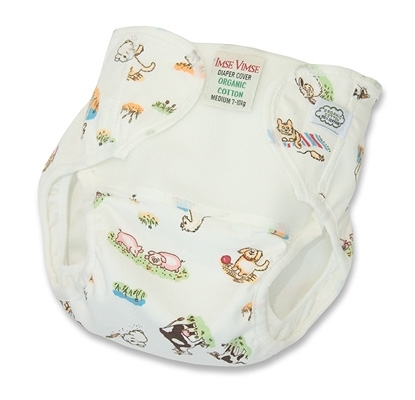 The soft velcro makes for easy diaper changes and eliminates the use of pins. This cover is similar to the day and night cover, but is an anytime diaper, so you can use it for day and night time. PLEASE NOTE: The Farm print has been discontinued. The stock available is all we will have going forward.